Pretty soon I will be guiding my students towards learning how to describe their emotions, or current physical state, in English. Although I’ve found a lot of nice resources and visuals online, it’s also nice to be able to make my own worksheets from time to time. 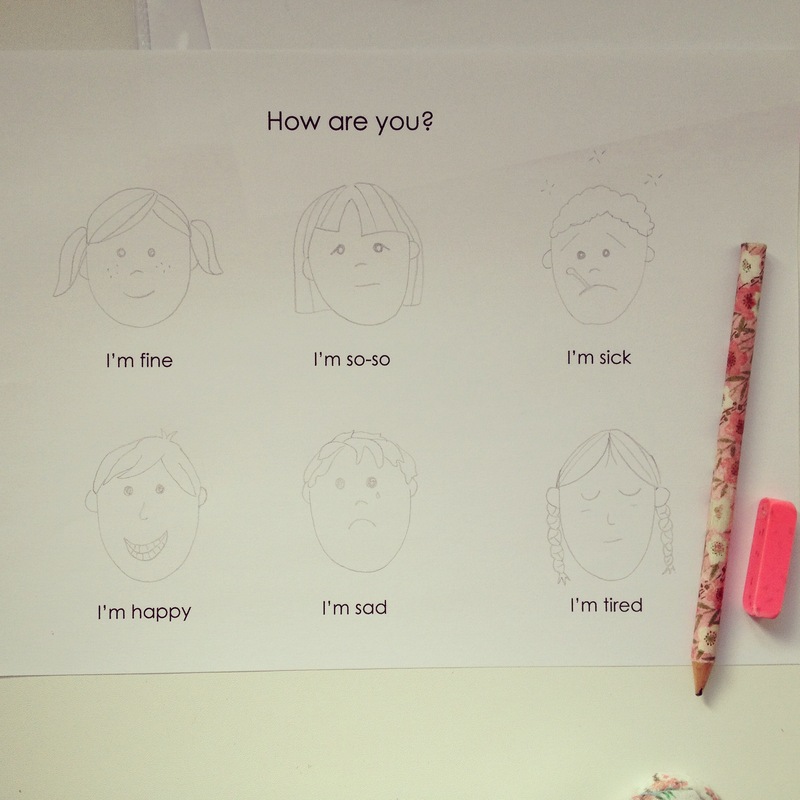 This entry was posted in Anglais, Anglais pour les petits, DIY, emotions, how are you? and tagged Activités pour les enfants, Anglais, Anglais pour les petits, chante en Anglais, ecole, ESL, la maternelle, Learn and Play en Anglais, primaire. Bookmark the permalink.